You know that ugly, exposed concrete section that surround the base of your house? Yeah, that’s your foundation. They’ve yet to create a way to construct it in a way that’s appealing to the eye, instead leaving you with unfinished rough concrete. But there are ways to hide house foundation, if you’re creative enough. A little bit of elbow grease, free time, and imagination can turn your unattractive concrete base into something with awesome curb appeal. 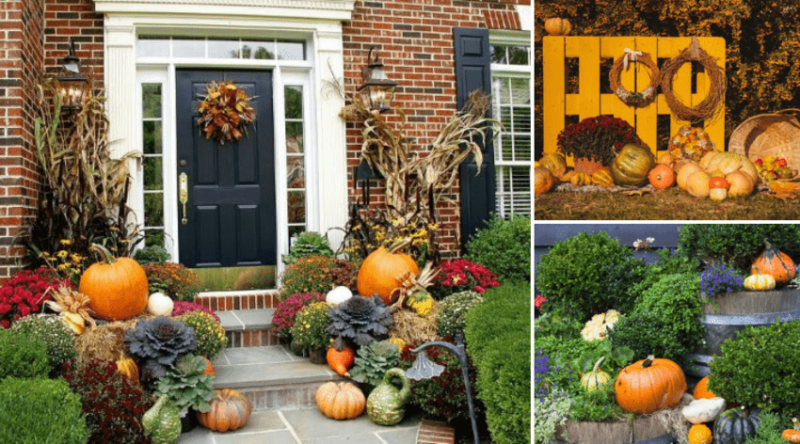 HERE ARE SOME GREAT IDEAS TO GET YOU STARTED! 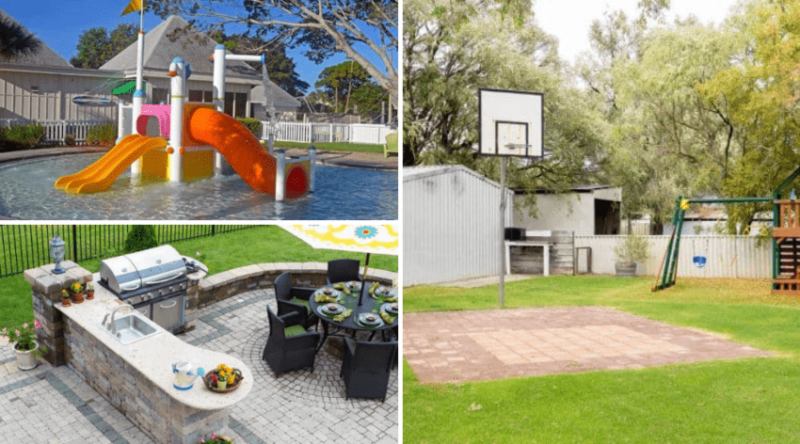 Adding a finished material to the concrete part of your foundation does the trick, but what about the areas around your decks and other structures that protrude out from your home? 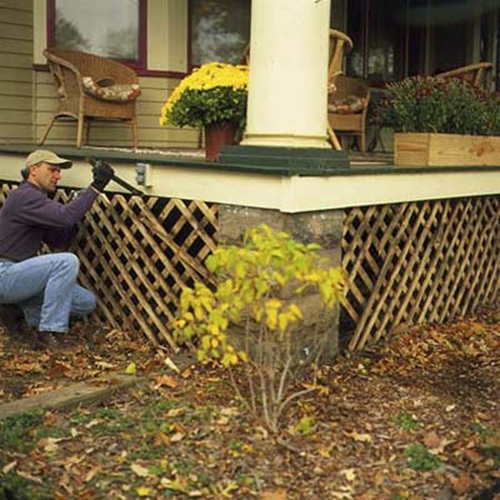 These create empty spaces underneath where you can catch glimpses of that ugly foundation peeking out. Cover it up with some gorgeous framed lattice. You can even paint or stain to match you home! If stucco and fancy lattice aren’t your thing, then consider this creative idea to hide your foundation! To break it down, look closely, you can see how the homeowner matched the siding color and then trimmed it all with the same cape cod blue slats. This gives the appearance that there’s no foundation at all. Neat! So, maybe you’re not handy, and maybe you’re not that creative either. So what? 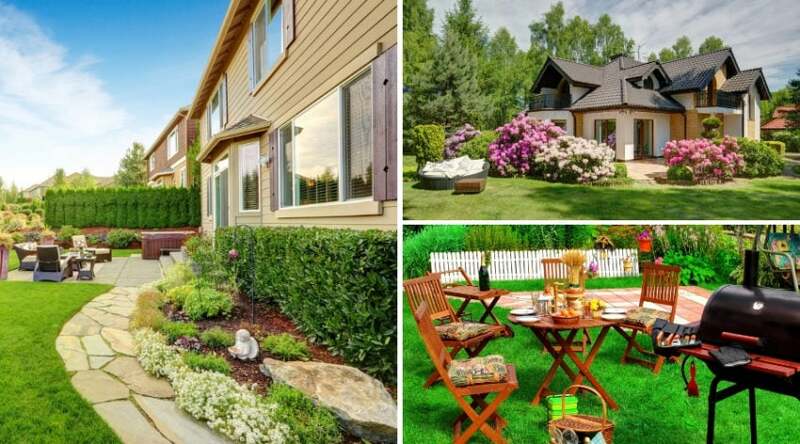 You can still give your home’s foundation a refresh with a simple coat of paint. Just makes sure to scrape off any cracked or peeling material that’s on the surface before applying anything new. Otherwise, you’ll be back to square one within the year. Dress it up with a few nice painted flower pots. Now this is where we get super creative. 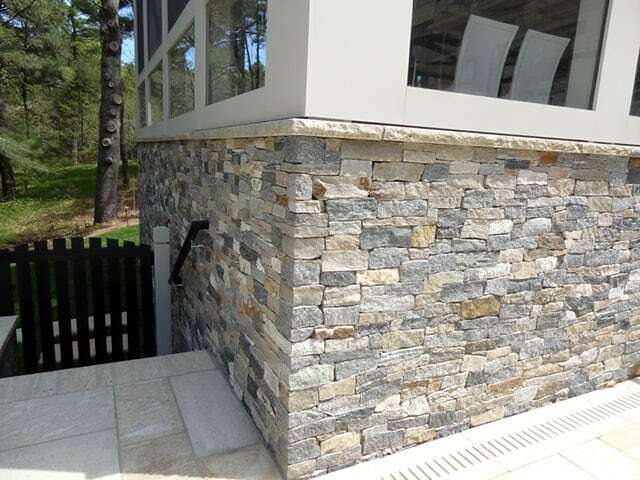 If you’re not comfortable applying stone materials to your home yourself, you can hire the aid of any local contractor. They know what to do. But, if you’re up for a project, then fire away! This idea is a beautiful way to hide your home’s foundation and give a really high end look. There are some ideas that don’t involve touching the foundation itself, but rather just covering it up. 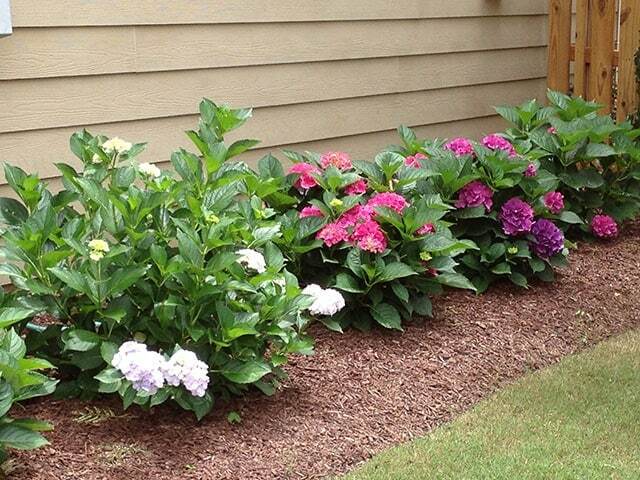 By installing a raised flower bed and planting large plants, you can easily mask the exposed concrete behind it. Easy peasy, and adds value to your home. 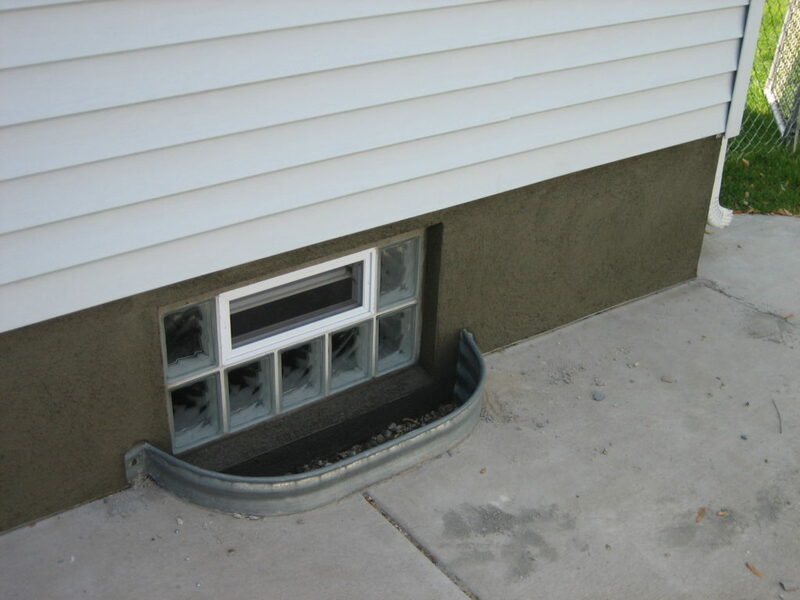 Another way to disguise the concrete border around your home without really even touching it. 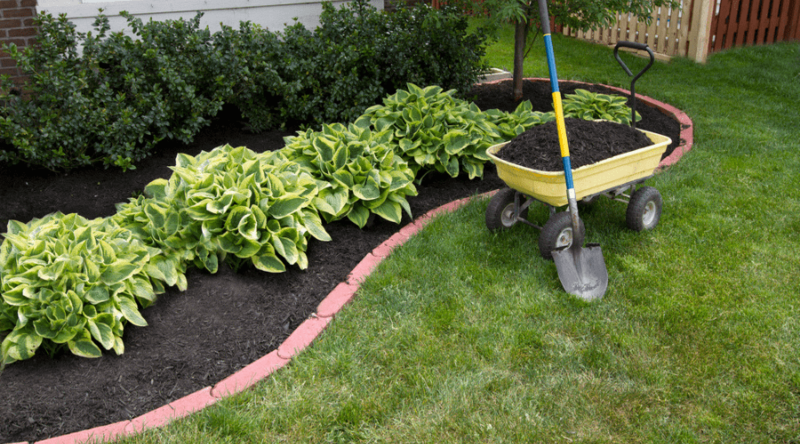 Installing a bed of gravel or decorative rocks. You can get real creative and even do a fancy dry creek bed. This will especially help if you have moisture problems in your basement. Two birds with one stone! 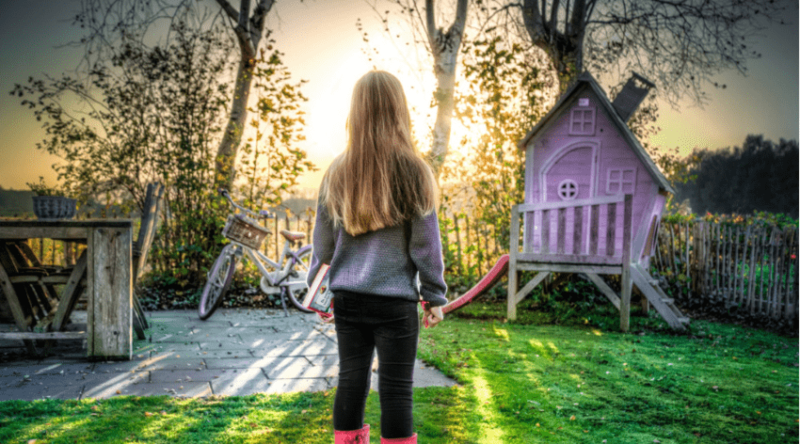 There are a few different materials you can purchase to cover up your foundation, but this one in particular consists of sheets of Styrofoam insulation with a protective coating on the outside. 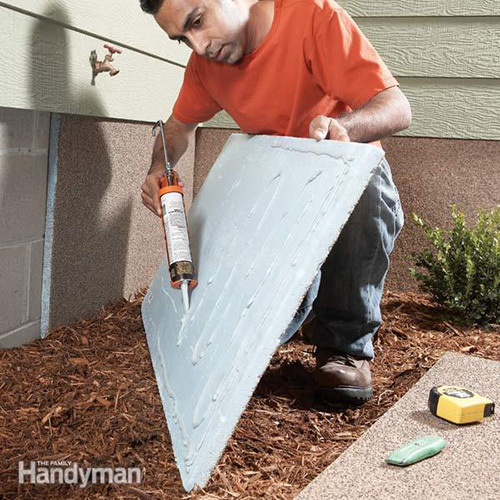 Apply directly to the concrete using PL Premium or some other form of adhesive and you’re good to go! 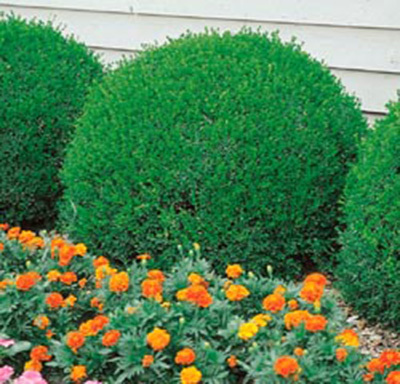 Big, bushy shrubs are the way to go if you’re looking for an easy way to just hide the foundation behind something. 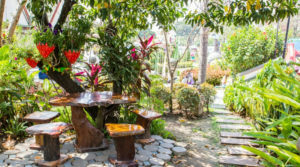 This is also a great way to add in some landscaping and improve the look of your exterior even more. The bushier, the better! 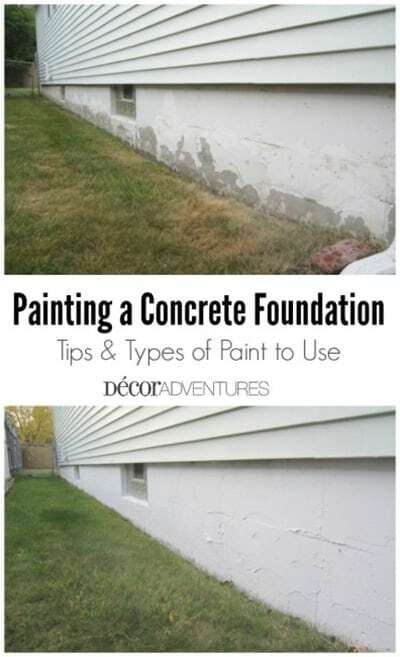 Did you enjoy this list of awesome ways to hide your foundation? They’re certainly good ideas, and should inspire you at the very least to tackle your project. Let us know what you think, or if you have any ideas of your own. Share and comment! I absolutely love the idea that there is a lightweight option to install on the outside of an ugly cinderblock foundation. I would like to know what those styrofoam panels are actually called and where they can be purchased. Are there other patterns?? Termites will eat your house! Moisture and mold will eat your house. The reason the building code calls for 8 inches of foundation showing above dirt grade is so you can see the termite made mud tunnels they build to go from the ground into your wood house and eat it. 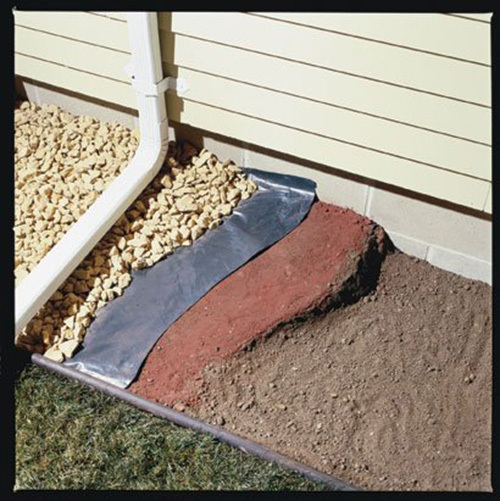 Covering your foundation with anything they can crawl behind is a bad idea and not to the national building code. Moisture rises up from the ground as it evaporates. If it’s trapped behind something so the sun can’t sterilize it, mould that lives in the air will love it there. Mold like to eat wood too. I am facing this problem now. I bought a house where the cinder block foundation was completely covered outside and in. I have now discovered that the cinder blocks are actually deteriorating. There was undiscovered mold up the back sides of the drywall inside. 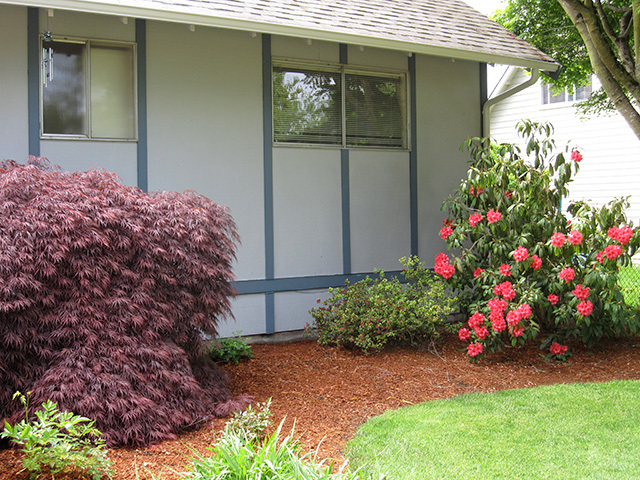 I don’t yet know what the lurks behind the stucco paneling covering the outside of the house. Last summer a colony of termites ate a massive stump in my yard in just a couple of weeks. I have no idea where they moved to. I have don’t think they moved to the house but this does give me fear.